This elegant bridal ring set features a stunning engagement ring with four princess-cut white diamond center stones accentuated by smaller stones along the band. 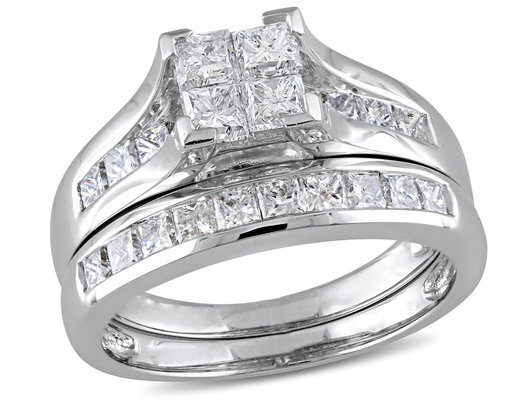 This wedding set includes a matching anniversary style stackable channel-set wedding band. Both wedding rings are set in 14-karat white gold and are enhanced with a high polish finish.